Man has always had a desire to personalize his weapons; a fact made obvious as one looks at fancy knives and swords dating back to the Middle Ages and beyond. With the coming of truly workable repeating single action sixguns beginning with Sam Colt's 1836 Paterson serious pistoleros began to tailor their sixguns to make them easier to conceal, faster into action, or both. Trigger guards were cut away, barrels shortened and in some cases removed altogether. 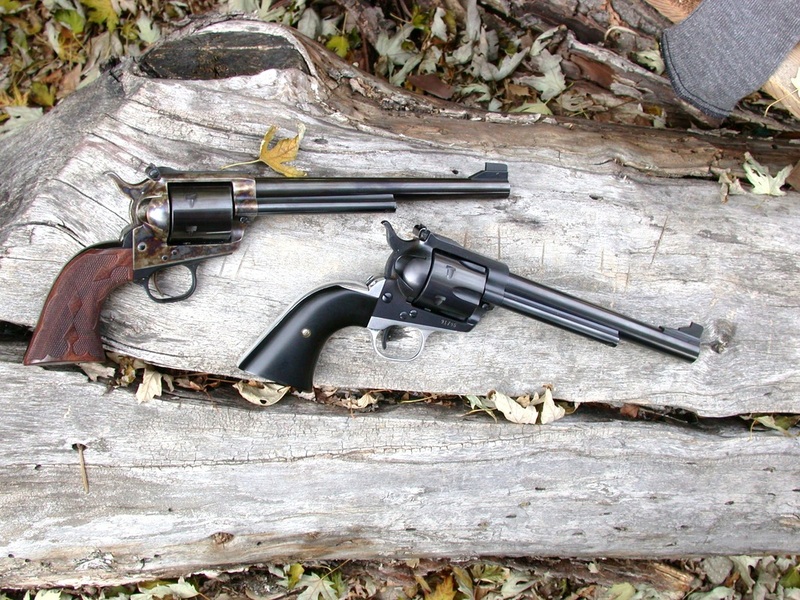 Sixguns were serious business and often meant the difference between life and death. However, the modern era of the custom single action sixguns mainly for sporting purposes begins with a fellow by the name of Harold Croft. In the late 1920s, Harold Croft of Pennsylvania had packed a suitcase full of sixguns and took the train all the way across the country to Elmer Keith’s small ranch in Durkee Oregon. At the time Croft was having lightweight pocket pistols built on Single Action and Bisley platforms while Keith was more interested in full-sized single actions for long-range shooting and everyday packing. Croft’s ideas for perfect sixguns had been turned into reality by gunsmiths Sedgley and Houchins, with the former doing all the frame work and the latter doing sights, stocks, and action work. 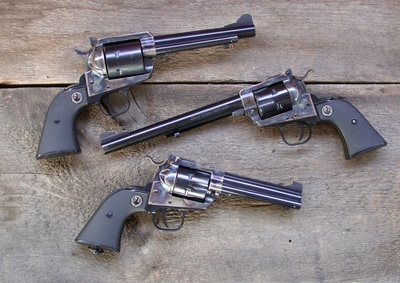 Croft took four Featherweight .45 Colts, with numbers M1 and M3 on Single Action frames while M2 and M4 started out as Bisley models. 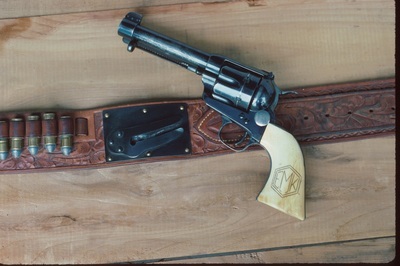 To produce the Featherweights, the recoil shield was hollowed out, the ejector rod was removed, the frame narrowed down in front of the trigger guard, and the loading gate hollowed out. The frames were also flat-topped and fitted with adjustable sights. All of the Croft Featherweights weighed between 30 and 32 ounces and were written up by Keith in the American Rifleman in 1928. One year after the Croft visit Keith unveiled his idea of the perfect sixgun in an article entitled The Last Word in the April 1929 American Rifleman. He incorporated many of Croft's ideas including the flat-topped frame, adjustable sights, and the modified grip frame. Keith patterned his new sixgun after Croft's numbers M1 to M4. Keith, along with the ideas of Harold Croft and gunsmiths of the time, Neal Houchins, R.F. Sedgley, and J.D. 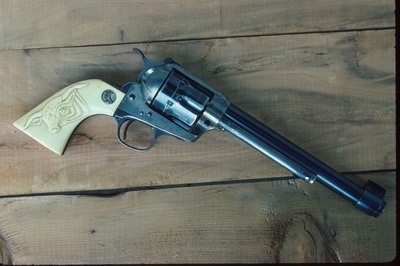 O'Meara, worked together and welded up the top strap of a Colt Single Action to make a heavy Flat-Top Target design. The old flat mainspring was replaced by a U-type spring, and the hammer was made by welding a Bisley wide hammer spur on a standard hammer. The rear sight is adjustable and the front sight is the high Patridge type. The base pin latch was changed to eliminate any chance of the pin jumping forward under recoil and the grip frame was made by mating a standard Colt SA trigger guard and a Bisley backstrap. Keith called this sixgun his No. 5 S.A. It was chambered in .44 Special and may be the most famous Colt Single Action in existence. It is on display in the Elmer Keith Museum within Cabela’s store in Boise Idaho. Keith's .44 Special No. 5 S.A. as displayed in the Elmer Keith Museum. Other Keith custom Colt Single Actions are also on display in the museum. One which was obviously a favorite shows much use. This King short action 7 1/2" .44 Special has ivory grips with a steer head carved on the right grip, a wide hammer, a Smith & Wesson type rear sight, a front sight held on by a barrel band, and even though it shows extensive blue wear it is still quite tight. 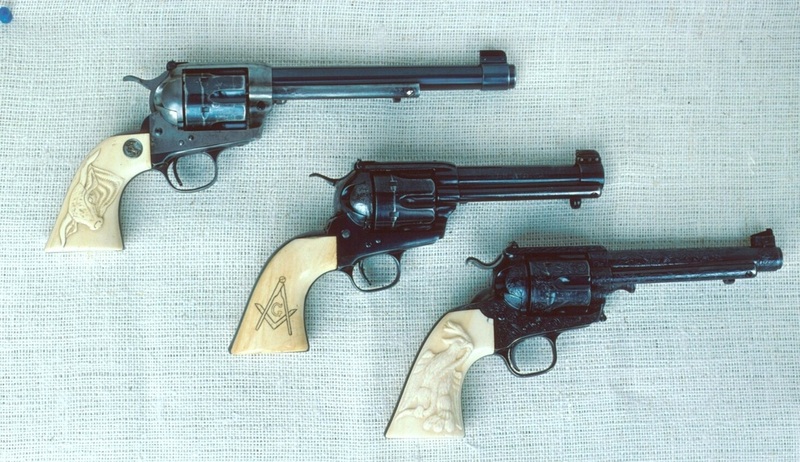 Since the ivory grips have a Colt medallion inset in them, I assume they are original Colt manufactured stocks. Another .44 Special Colt is a 5 1/2" Flat-Top Target single action made up by Neal Houchins with special one piece rosewood grips made by Pachmayr. This was designed by Keith as a long range sixgun as it has a folding rear sight with three different blades for different ranges and it also has a dull blue finish so it would not reflect sunlight. A third Colt, this time in .45 Colt, has a 4-3/4” barrel, S&W-style adjustable rear sight, barrel band front sight, wide hammer spur, and one piece ivory grips. The hammer screw has been replaced by one with a large button on the left side to fit into a Bridgeport rig. The latter was a slotted metal affair riveted to a belt. It accepted the button and the sixgun could be swung up and fired without removing it from the belt or it could be instantly swiped forward and off the belt. All three of these, along with the No. 5 S.A., are also on display in the Keith Museum. Keith’s .44 Special 7-1/2” by King has a short action, wide hammer spur, S&W-style rear sight, barrel band front sight, and ivory stocks. I was not around when Keith wrote his articles on Croft’s four custom single actions, which by the way were originally chambered in .45 Colt and after meeting with Keith, Croft turned them into .44 Specials, nor the No. 5 S.A. However I did eventually get copies of those articles as well as Keith’s monumental work Sixguns. I have spent many hours the past five decades studying pictures of those sixguns. After Keith’s death I was privileged to handle them and then in 2006 was called in to place them in the museum as well as write the descriptions. You can well imagine how emotional both of these experiences were! Keith's custom single action sixguns inspired me; I propose to showcase custom single actions beginning with my first commissioned customs and also some of what is available from the best sixgunsmiths who ever lived. 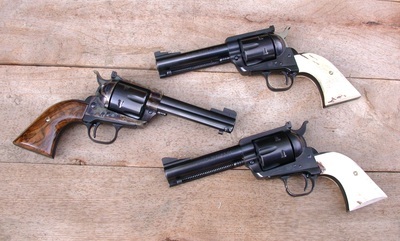 In Keith’s and Croft’s times the Colt Single Action Army was it as far as customs go but beginning in the 1970s sixgunsmiths switched to the much stronger Ruger platforms. Today sixgunsmiths can pick from both Colt and USFA sixguns, in fact Hamilton Bowen used a pair of USFA frames to create his first #5s. With Rugers there are many possibilities. The older Three-Screw .357 Blackhawks are excellent for chambering to the standard non-magnum calibers, the New Model Blackhawk will take the heaviest cartridges when used with a five-shot cylinder, and the Single-Six is used for not only custom .22s and .32s but .327 Federal, .38 Special, and .41 Special as well. Let’s take at look at just a small sampling of what is available from some of the top sixgunsmiths. Sixgunners are pretty much like ordinary folks; they want what they can't have. Those who wanted .44 Specials were in pretty dire straits in the late 1960s. 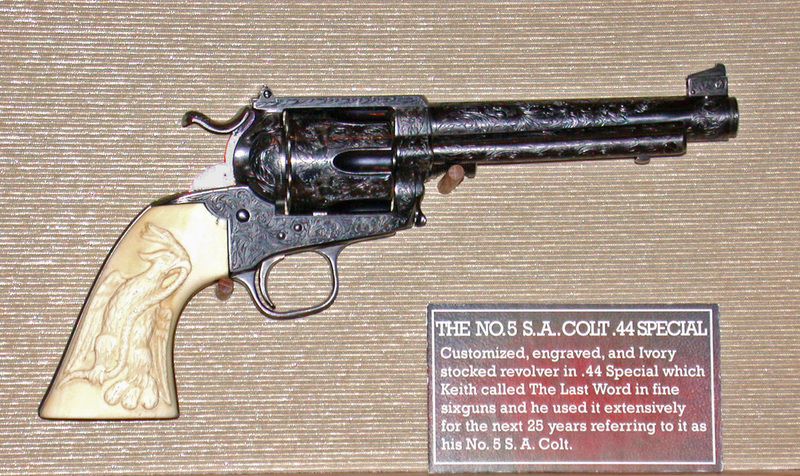 Colt dropped the .44 Special Single Action in 1966 and Smith & Wesson followed one year later by dropping the .44 Special Model 24 as well as several other great sixguns from their catalog. Gunwriter Skeeter Skelton wrote about acquiring .44-40 Colts and fitting them with .44 Special cylinders as the barrel dimensions were the same. With this in mind I searched the pages of Shotgun News and found two very reasonably priced Colt .44-40 Bisley Models. My thought was to follow Skeeter’s suggestion, however the barrels were not in great shape so both Bisleys were re-barreled as well as re-cylindered. 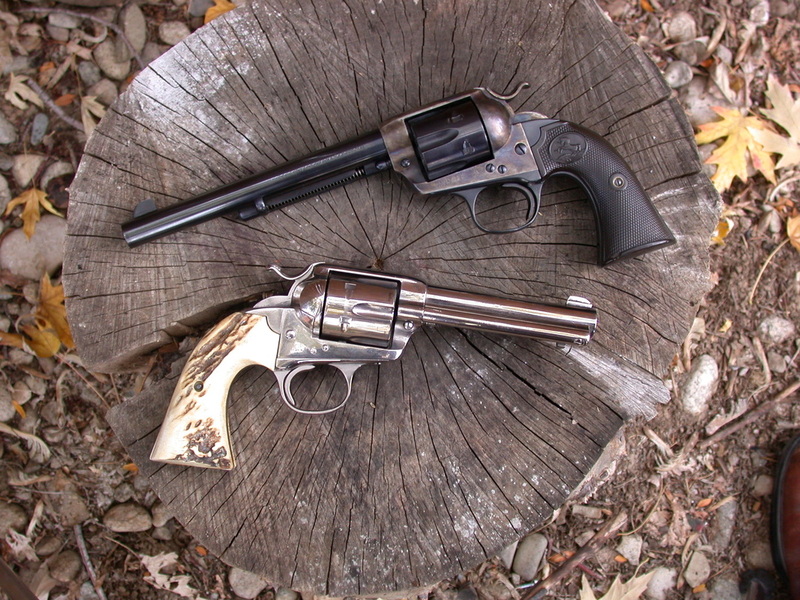 One was fitted with a 7-1/2” Colt .44 Special barrel and a cylinder from Christy Gun Works while the other along with a Colt cylinder went off to Trapper Gun to be fitted with a custom 4-3/4” barrel. The former was eventually re-finished by Hamilton Bowen in the early 1990s while the latter was nickel-plated by Trapper. They have both proven to be excellent shooters. 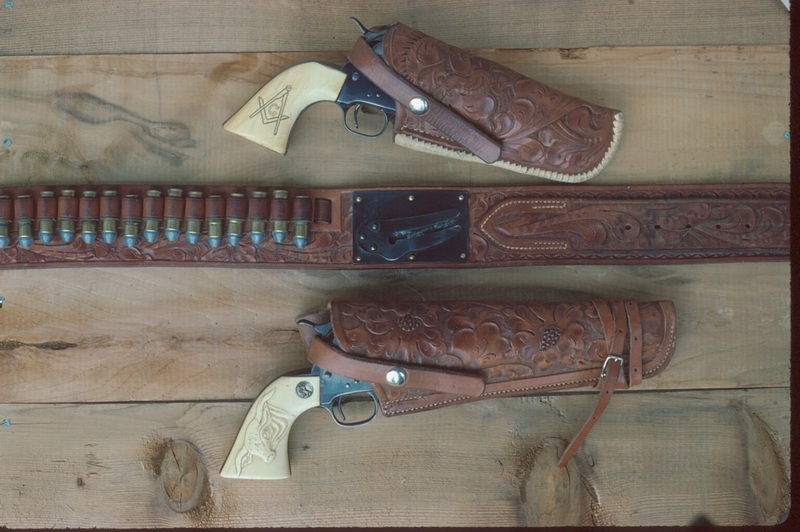 Taffin’s first attempt at customizing sixguns was performed on a pair of well-worn .44-40 Colt Bisley Models. 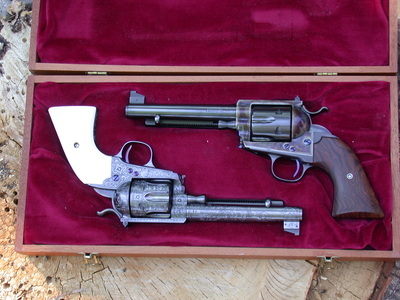 The addition of new .44 Special barrels and cylinders and total refinishing resulted in a pair of good shooting sixguns. I had these .44 Specials however the .44 Special itch is a hard one to scratch. Then in 1972 Skeeter wrote of converting a Ruger Old Model .357 Magnum to .44 Special. I set one off to a fellow back east who specialized in this type of conversion by using the original barrel with a .44 liner. When I got the gun back it simply would not shoot. A look down the barrel showed why; he had used the liner with a 1:38 twist. This was way too slow for the Special. It would shoot heavy Keith loads at nearly 1200 fps, however I wanted something more versatile than this. This gun went off to Trapper also along with a Ruger .44 Magnum barrel from a Flat-Top. Trapper cut the barrel to 4-5/8” and also re-finished this .44 to a high polish bright blue. Ivory grips were added and I had one of the most beautiful, and good shooting, .44 Specials possible. Ruger had originally planned to offer their .357 Magnum Blackhawk of 1955 in both .44 Special and .45 Colt; the arrival of the .44 Magnum in 1956 changed that and Ruger enlarged the original Blackhawk to allow for the more powerful .44 Magnum. 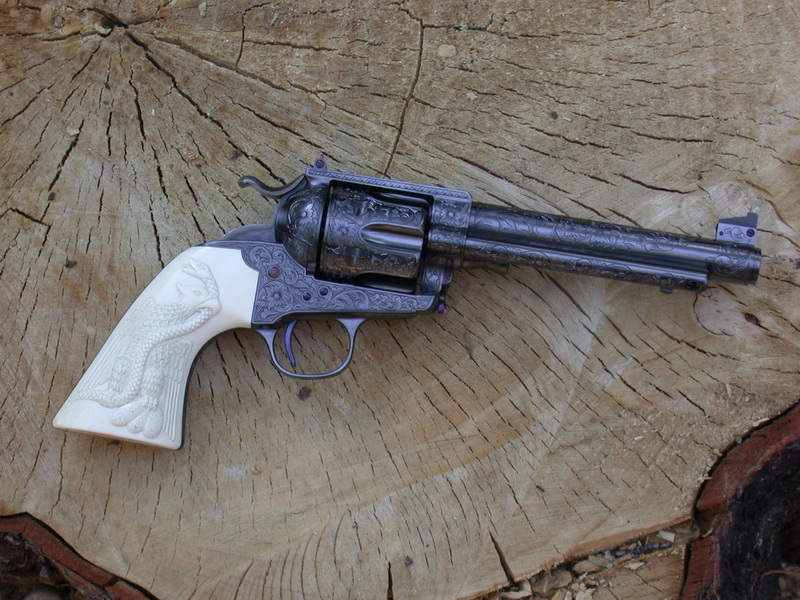 Three years later the Super Blackhawk arrived as an all steel 7-1/2” Dragoon-style gripped Magnum. It would be a long time before Ruger would offer a different barrel length and also stainless steel. I sent a standard Super Blackhawk off to Trapper who changed it to a Long Range package with a 10-1/2” barrel and also a weather beating satin nickel finish. It has proven to be a superb hunting sixgun for more than three decades now. If they ever give out a Nobel Prize for something really important like Sixgun Creativity, Hamilton Bowen will definitely receive it. I first met Hamilton at a Shootist Holiday in the mid-1980s. At the time he was a real pain; actually it was his sixgun, a .500 Linebaugh conversion on a Ruger Redhawk. We had a full set of silhouette targets to shoot at and I first shot this .500 standing on 100 meter pigs. I got five for five, turned around, and Hamilton said he had to fix that gun as it just wasn't right. I wondered what in the world could be more right about it! Hamilton also had a little gun with him, a .41 Special on a Ruger Security Six. At the time Hamilton had done little if any work on Colt Single Actions and was looking for a couple of examples to see what could be done. I offered to provide two Colts and he warned me at the time he wasn't sure what would turn out; I had seen enough of his work to know this would not be a problem! Hamilton made new un-fluted cylinders and barrels for the two Colts both of which are far from ordinary. One is now a 8-1/2” .32-20 with a Smith & Wesson rear sight while the other is a 5-1/2” .41 Special. The .41 Special is nothing more than a .41 Magnum case cut to .44 Special length and chambered in the same size sixguns normally used for the latter. As far as I know Hamilton was the first to make a .41 Special and I was the first one to write about it. There is enough of a small group of .41 Special fans for Midway to offer properly headstamped brass from time to time. It is a neat little cartridge that should have pre-dated the .41 Magnum. A pair of long-range sixguns by Hamilton Bowen, an 8-1/2” Colt .32-20 and a 7-1/2” Ruger .44 Special. Hamilton can do anything possible when it comes to sixgun conversions. Old Model .357 Magnums are excellent candidates for .44 Special and .41 Special. One of Hamilton's favorite cartridges is the .32-20. Not only is it a great little cartridge but it is an absolute joy to test fire especially when compared to the .475 and .500 Linebaughs. Recently Federal introduced what is basically a modernized version of the .32-20, and also is a better alternative in a sixgun than the .30 Carbine. By lengthening the .32 H&R Magnum Federal has given us a straight-walled .32-20 or a .30 Carbine with a rim. Once the .327 Federal Magnum arrived Hamilton looked at all the possibilities for this great little cartridge. Three of his customers graciously allowed me to test their Bowen Classic Arms sixguns first. One is a 4-5/8” Single-Six with a heavy ribbed barrel and it is sided by a 7-1/2” version; the third one is a slightly larger 5-1/2” .32-20 Blackhawk with a companion .327 Federal cylinder. All three of a sixguns are perfect examples of a master craftsman's work and finished off with hammers and frames color-case by Turnbull. Beautiful sixguns which are very difficult emotionally speaking to send back. Elmer Keith's .44 Special No. 5 S.A. by Hamilton Bowen.